This case study summarizes the events surrounding the filing of a lawsuit by residents against a company for allegedly contaminating the local water supply with trichloroethylene, a chemical used in industrial cleaning and degreasing. It further illustrates how exposure evidence, historical factors, a residential questionnaire and a toxicological risk assessment can play pivotal roles in determining an outcome in litigation. TCE (1,1,2-trichloroethane or "trichloroethylene") is a colorless, transparent liquid used in manufacturing. It previously served as a degreaser, paint stripper, adhesive solvent and as an additive in paints and varnishes as well as in the manufacture of other chemicals. It is nonflammable at room temperature and evaporates readily into the air. TCE can leach into groundwater when improperly disposed of. TCE and vinyl chloride are confirmed human carcinogens associated with non-Hodgkin's lymphoma, leukemia, kidney and liver cancer and other malignancies. Vinyl chloride is known to cause certain types of liver cancer. Historically, people have been exposed to TCE through ingestion of contaminated groundwater and by inhaling vapors resulting from soil vapor intrusion. In this case, residents ingested TCE through well water and vapors evaporated from contaminated drinking water into indoor air during cooking, cleaning and washing, resulting in a quantifiable exposure dose. 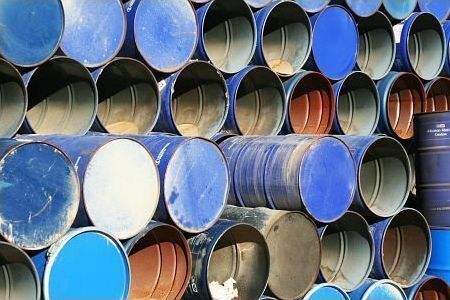 Eighty-eight residents commenced an action for personal injury and property damages due to defendants' alleged contamination of groundwater and drinking wells with trichloroethylene (TCE) and vinyl chloride. Plaintiffs claimed that the TCE and vinyl chloride emanated from property formerly used by defendant to manufacture electrical components. The plant used TCE and other solvents to clean component parts from approximately 1962 to 1967 with spent solvent disposed of in an on-site, unlined "evaporation pit." In 1979, the defendant sampled the soil near one of the abandoned pits and detected chemicals within the soil. In 1985, the defendant hired an environmental company to further assess their industrial site and found TCE within the groundwater at levels thousands of times in excess of the state drinking water standard. However, the defendant notably failed to alert the nearby residents of these test results. The defendant also failed to test any of the plaintiffs' local drinking water wells. As a result of this inaction, the plaintiffs were needlessly exposed to TCE for an additional 15 years at which time governmental agencies finally initiated independent testing (year 2000). To assess the claim, the plaintiffs' expert hydrogeologist modeled historic well water TCE levels at each plaintiff's location. Dr. Sawyer prepared a residential screening questionnaire to ascertain TCE exposures via ingestion quantity, dermal absorption and inhalation using generally-accepted, peer-reviewed methodology. The results of the questionnaire were compiled and presented in court to demonstrate dose and the documented and potential effects of TCE and vinyl chloride exposures in well water. Additionally, Dr. Sawyer prepared a toxicological health risk assessment based on the exposure parameters of the 88 plaintiffs and an assessment of potential malignancies supported by human toxicological and epidemiological studies. Dr. Sawyer was challenged by the defendant with numerous pre-trial arguments within motions to exclude. All of these motions were subsequently denied by the court. The cancer risk assessment value exceeded the U.S. EPA benchmark value for "significantly increased risk." A protracted, three week trial ensued during which Dr. Sawyer offered expert testimony with respect to his toxicological assessment and formal report. In view of the overwhelming toxicological evidence, the demonstrable negligence in failing to alert residents and failing to test residential drinking water wells for contamination, in addition to the fact that the court denied all motions to exclude expert testimony damaging to their position in litigation, defendants elected to settle the case prior to a likely verdict in favor of plaintiffs. In toxicological cases, weight-of-evidence (WOE) determinations can greatly affect the outcome. Dr. Sawyer successfully rebutted repeated motions-to-exclude by virtue of the application of unbiased, peer-reviewed methodologies and by drawing upon documented and historical facts-in-evidence during expert testimony and depositions. The comprehensive report(s), expert opinions and compilation of questionnaire data presented in court were instrumental in bringing about a conclusion to this case. TCAS strongly recommends that any individual, company or government agency engaged in litigation matters concerning exposure to TCE and/or vinyl chloride always retain the services of an experienced, impartial expert toxicologist. "TCE and vinyl chloride contamination are not uncommon in the U.S. In some cases, historic contamination can be assessed by reconstructing toxicological data to arrive at scientifically credible findings."